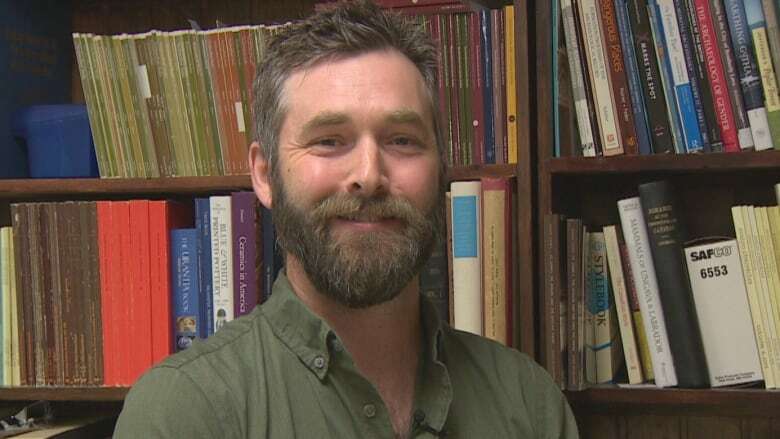 Archeologist Blair Temple says the finds inform impact of 1800s fires on modern-day St. John's. Artifacts — bottles, glass and pottery — were unearthed during sewer upgrade work on historic Water Street this spring, and the evidence sheds new light on the impact the fires of the 1800s had on modern downtown St. John's. ​On a table at Gerald Penney Associates, archeologist Blair Temple lays out newly discovered treasures and sorts them based on their age. "This here dates probably to 1800-1820 and it's rare because you just don't find complete bottles like that on archeological sites," Temple says, his hands wrapped around a large, intact glass bottle. In this case, the bottle was found in one of the deep holes dug by contractors for a new sewer system on Water Street between Queen Street and Bishop's Cove. At first, Temple only saw the back end of the bottle but as he kept digging he realized he had the full vessel. "To my knowledge, this is one of three that have been found complete in St. John's." The city is required to have an archeologist like Temple at the construction site to identify and record any artifacts or structures that are found. A partial clay pipe found in Bishop's Cove is the oldest item recovered during the sewer system upgrade. Temple believes it dates back to the late 1600s. Despite it being widely believed that the Great Fire of 1892 was solely responsible for the reconstruction of St. John's, Temple said items discovered this spring point to earlier fires playing a big part in the streetscape of St. John's. 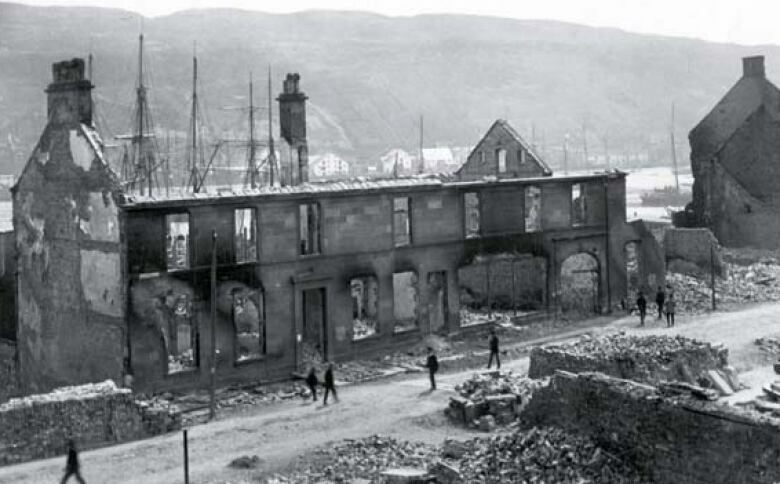 The 1892 fire is often looked on as the transformative event in downtown St. John's. And while it is, in many regards, in terms of the streetscape, that fire may not be as important as many people believe. All the previous fires were involved in widening and changing the route along Water Street. Among the rescued items were small but colourful pieces of pottery found under what Temple believes is a fire layer in the soil. "I think it may be related to the 1833 fire which, up to this point, we never really found any evidence of archaeologically," Temple said. "We knew it existed, but we hadn't found any physical evidence of it." On top of artifacts, stone sewage systems from the 19th century were unearthed. While sanitation may not fascinate everyone, Temple said it helps piece together the evolution of the drainage and sewage disposal in the city over time. "It gives you an idea about the overall evolution of St. John's from a town to an urban area," he said. 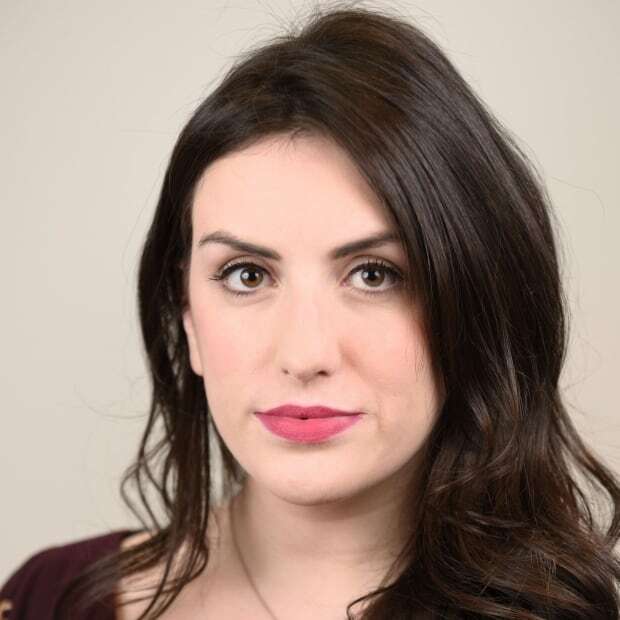 "It says a lot about how the city changed over time and how St. John's is similar to other large areas in North America, like Boston. for example. The artifacts will be shipped to the Rooms once they're cataloged and a report is written.